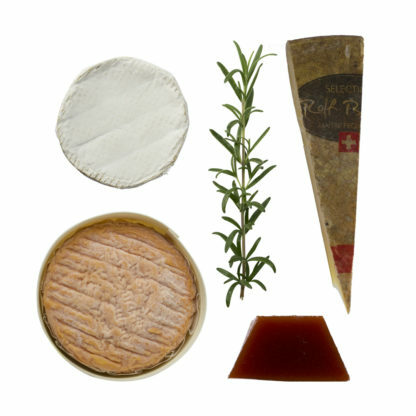 Exquisite cheese board containing the raw milk Rolf Beeler selected Toggenburger, French washed rind Affidelice and an Australian Goat’s camembert along with a piece of Adelaide Hill Quince paste. What’s better than to sit back with a nice glass of wine and nibble on some fine cheese? Not much, right? 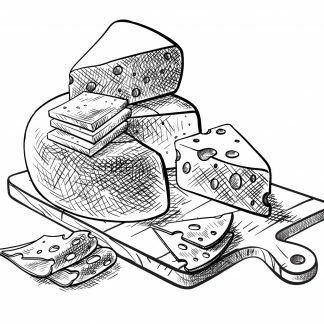 The only problem often is that it’s hard to find and pick the right cheese. That’s where Alpine Express by The Red Cow comes in. 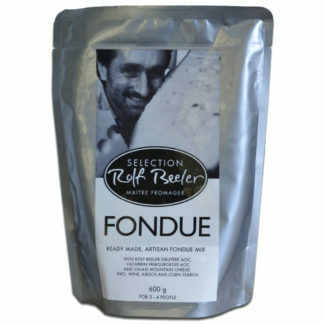 Plus optional extras include our Rolf Beeler fruit mustard (Pear), Birehong Pear Reduction or waterwheel crackers to complete your cheese platter. This cheese board contains a number different cheeses, therefore it matches to many beverages equally well. If we had to pick something, we’d suggest a crisp Chardonnay (or French Chablis) or a slightly fruity beer (e.g. Kölsch) or cider (e.g. Napoleon Pear Cider). The Toggenburger is our trusted favourite, which drew my attention to this platter. The Affidelice is a special treat and we were amazed how much we had missed it. The Goat’s camembert was the big surprise in this fantastic selection. Tom – great value for money – happiness all-round!! !